VATICAN CITY: Pope Francis on Tuesday marks the start of an extraordinary Jubilee year for the world’s 1.2 billion Catholics by opening a “Holy Door” in the walls of St Peter’s basilica. At 9.30 am (0830 GMT), the Argentinian pontiff will pronounce the words “Aperite mihi Porta Iustitiae” — Latin for “open to me the gates of justice” — and the door, which is normally bricked up, will be opened. Tens of thousands of pilgrims are expected in St Peter’s Square and images of the ceremony, in which Francis will be followed through the door by dozens of cardinals, bishops, nuns and monks, will be beamed live around the world. In Catholic tradition, the opening of “Holy Doors” in Rome symbolises an invitation from the Church to believers to enter into a renewed relationship with God. Francis’s predecessor Benedict XVI, who has lived in seclusion within the Vatican since retiring in 2013 because of failing health, has accepted an invitation to attend Tuesday’s ceremony. It will be a rare public outing for the German ex-pontiff. His last one was for the canonisation of former popes John Paul II and John XXIII in April 2014. The 88-year-old, said to be extremely frail, is not expected to stay for the mass on St Peter’s Square that will follow the door’s opening. Tuesday evening will see images by some of the world’s greatest environmental photographers projected onto the facade of Saint Peter’s in an initiative linked to the ongoing global climate conference in Paris. The Jubilee, which runs until November 20, 2016, was called by the pontiff with the express goal of allowing the Church to “make more evident its mission to be a witness of mercy”. The pontiff has made the idea of mercy the dominant theme of his papacy, insisting that it is not simply an abstract concept. In a surprise move, he announced in September that for the duration of the Jubilee, priests would be given special dispensation to absolve women who have had abortions. Some 800 priests around the world are to be designated “missionaries of mercy” tasked with encouraging higher levels of confession amongst believers. Those involved have been selected for their ability to preach well, understand human frailty and ensure the confessional is not experienced “like a torture chamber” as Francis himself put it. 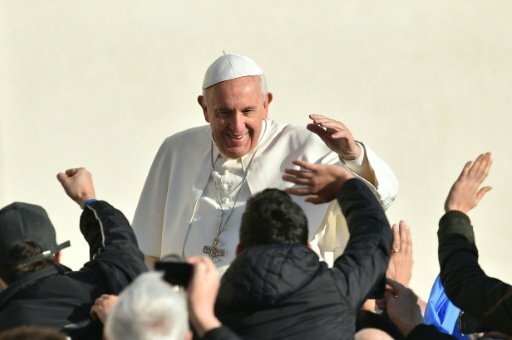 Behind all this lies Francis’s mission to make the Church seem less judgemental and more understanding, at times in the teeth of fierce resistance from traditionalists opposed to any relaxation of teaching on hot-button subjects such as homosexuality, divorce and unmarried cohabitation. Francis has effectively done away with this 700-year-old custom by ordering cathedrals around the world to open their own Holy Doors. That will happen on Sunday, when Francis himself opens the door at one of Rome’s major churches, St John Lateran. “There has been no specific threat but the context is troubling,” said Rome Prefect Franco Gabrielli, the official in charge of ensuring the Jubilee passes off smoothly and safely.